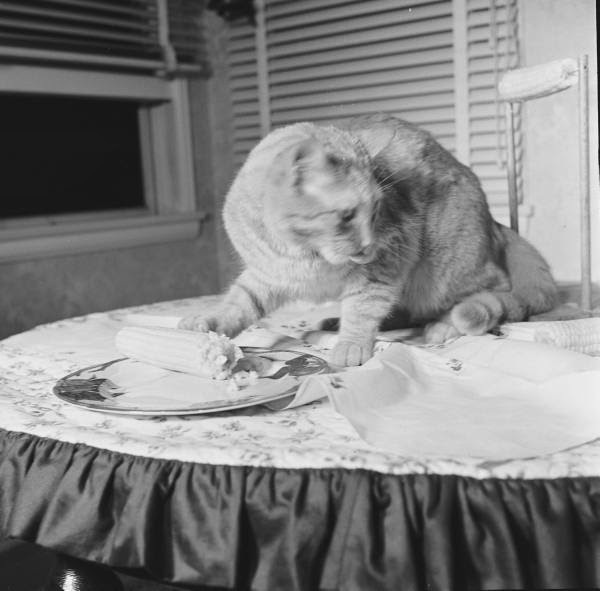 Another look at the fluffy side of LIFE magazine. 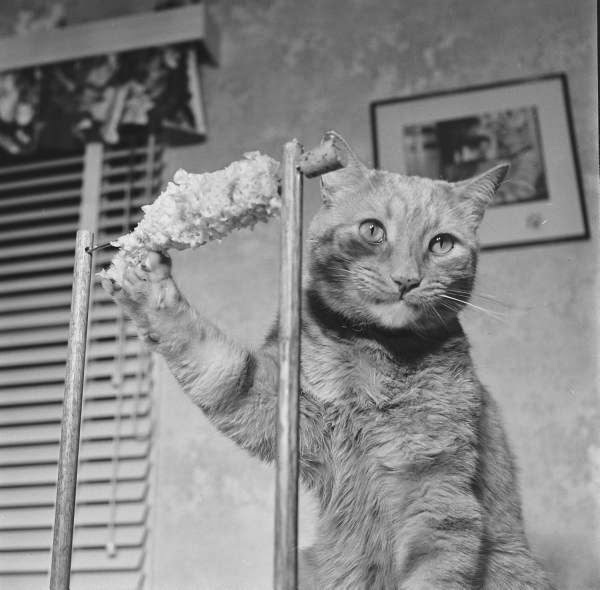 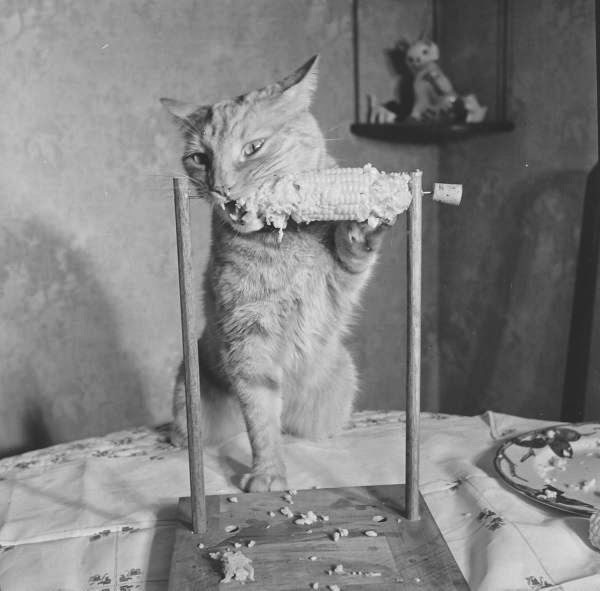 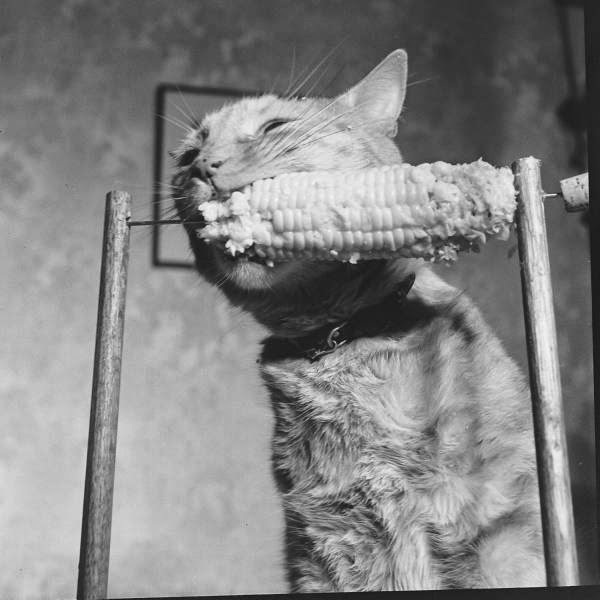 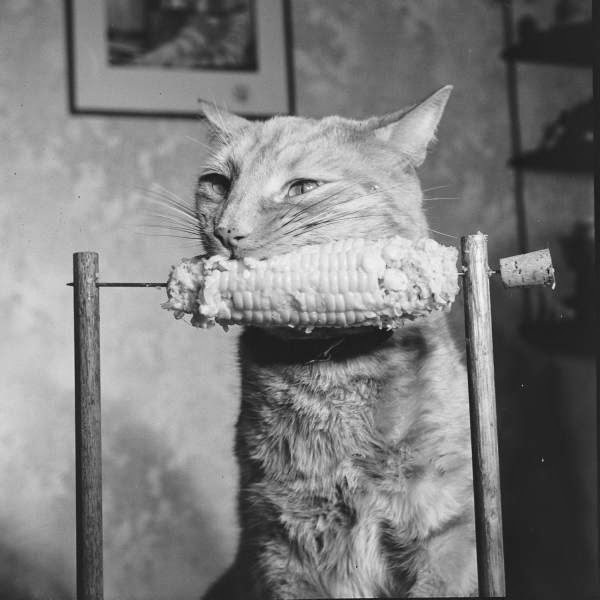 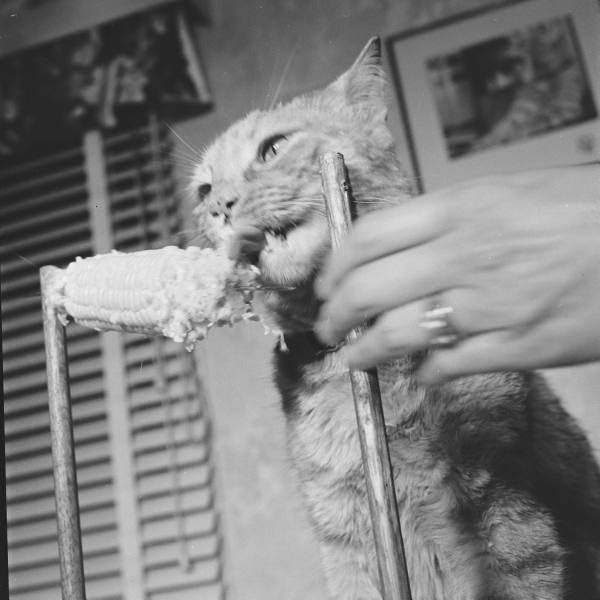 This is one of my favourite examples of "fluff"-- photographs of a cat that apparently likes to eat corn on the cob. 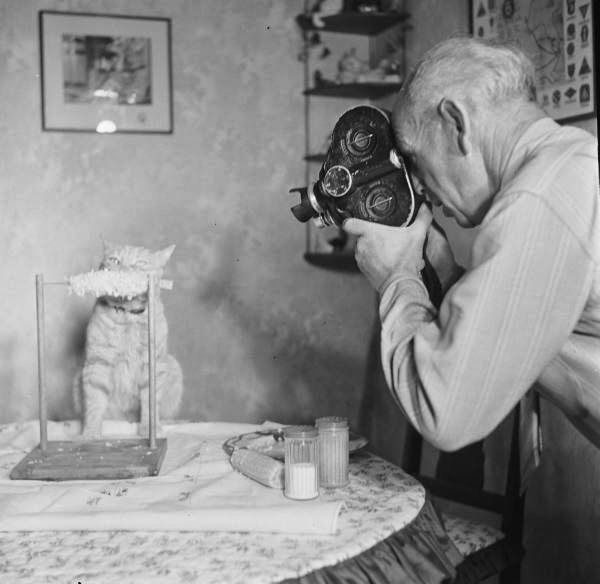 I'm sure that only one of these pictures was actually published, possibly on the last page which for a while was reserved for a light-hearted picture (I haven't yet found it, but still looking), but of course, an actual real-life photojournalist was dispatched to do this so as per the course he shot a range of pictures to get the best one/one that would best fit the page. 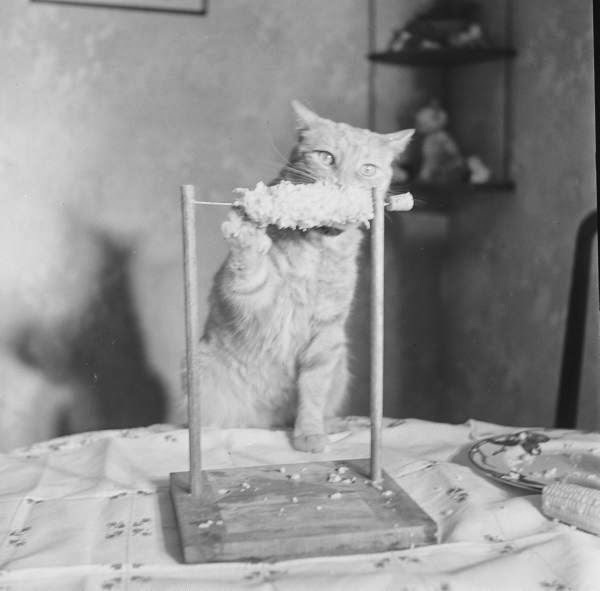 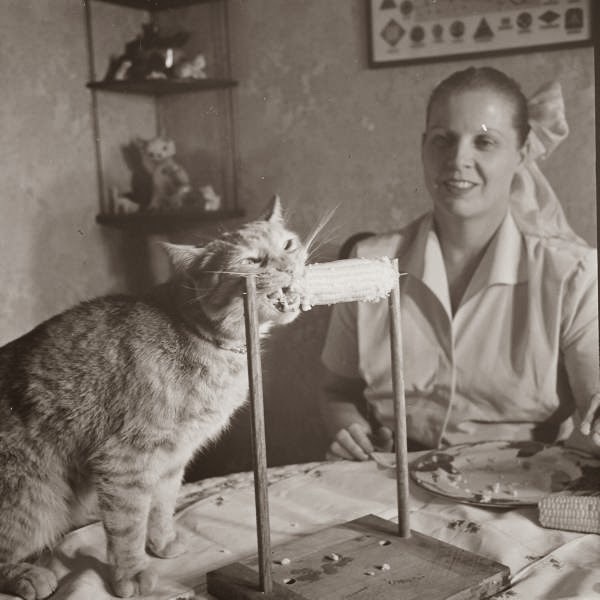 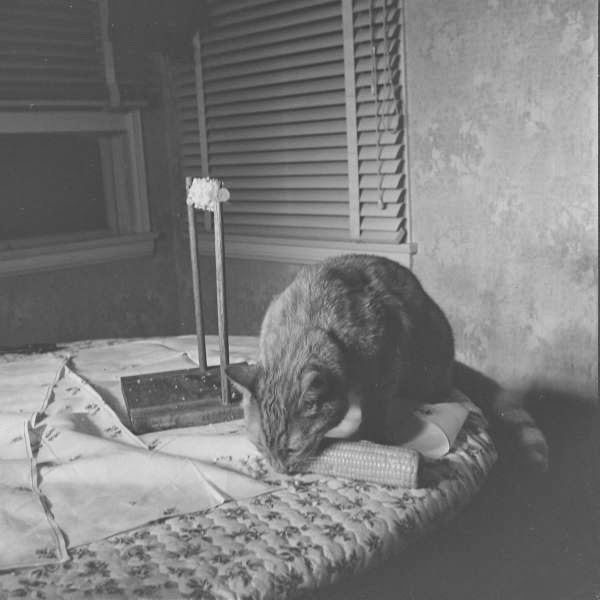 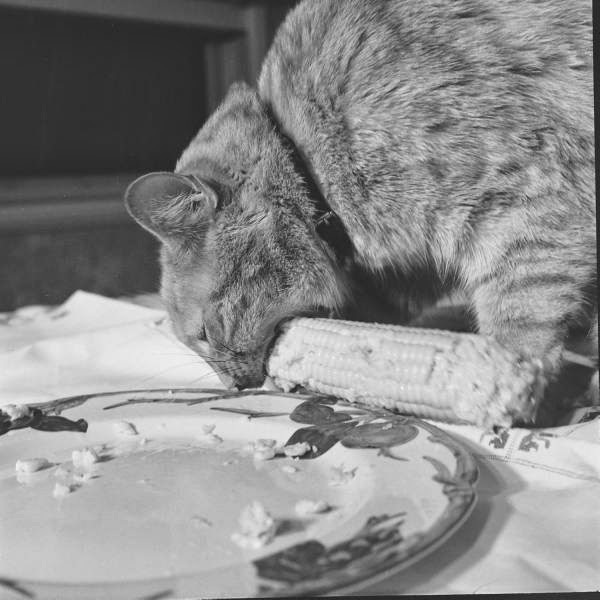 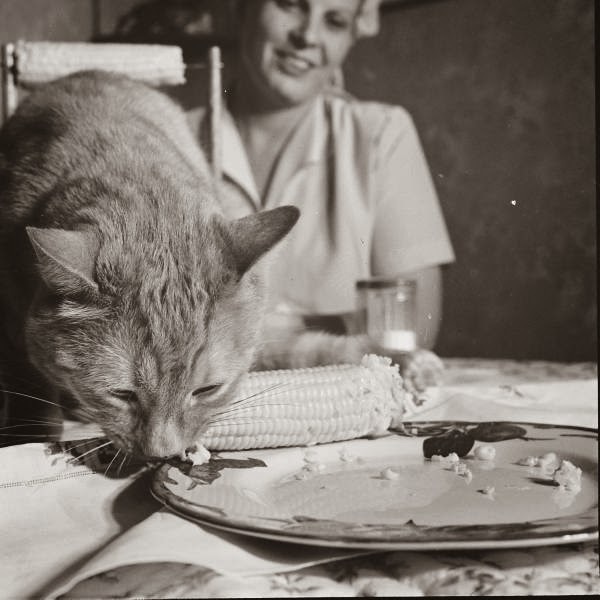 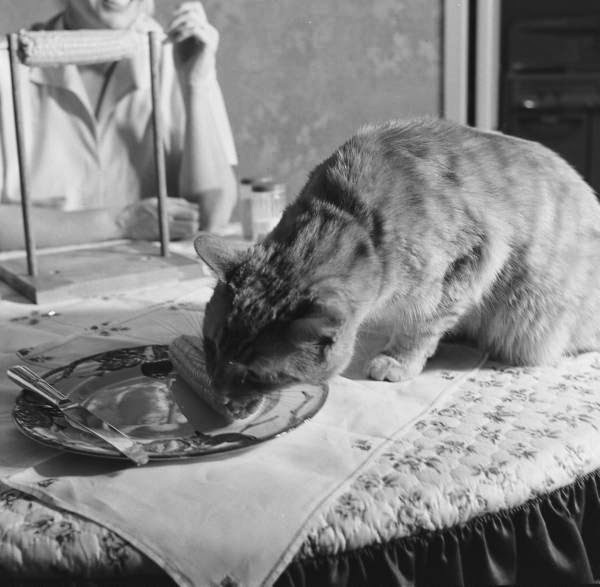 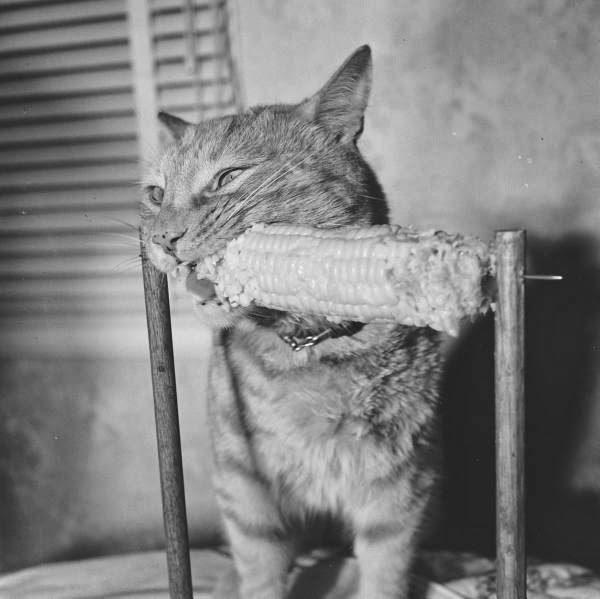 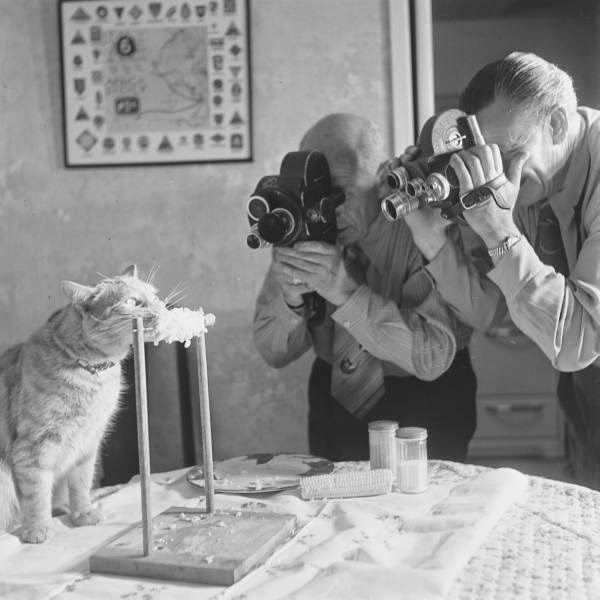 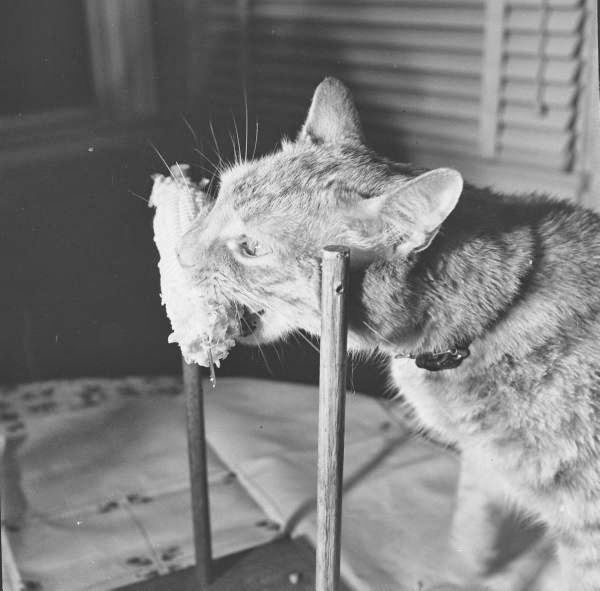 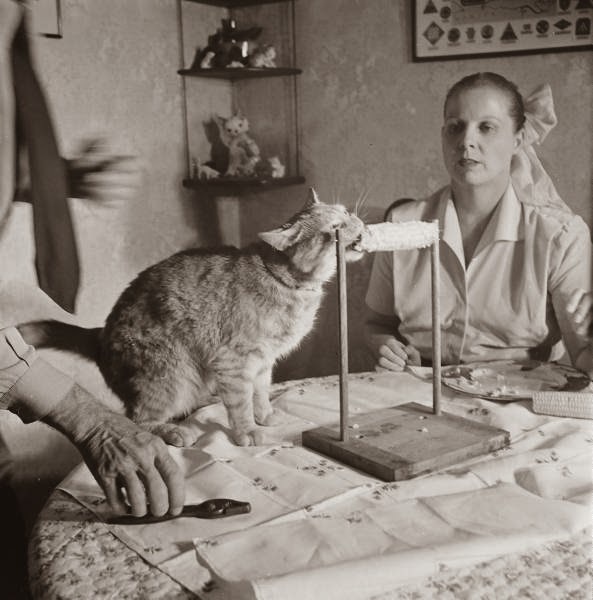 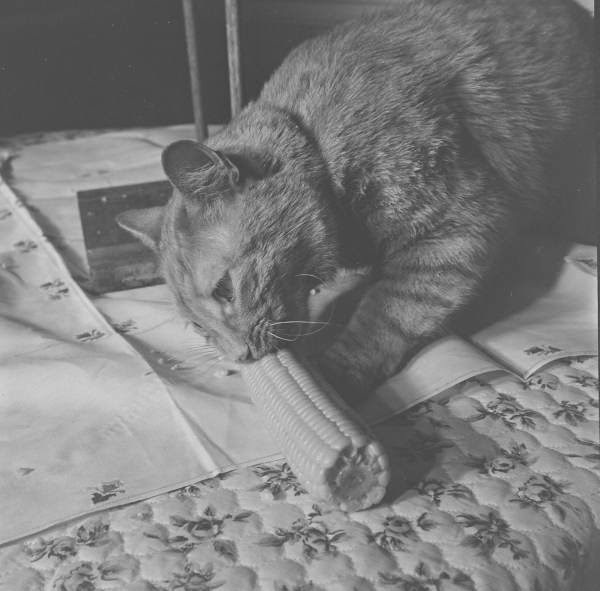 So the LIFE archives, as well as containing some of the defining photographs of our era, includes a whole bunch of photos of a cat eating corn.